+ Working on your branding and marketing new music? Share your musical marketing goals with us here and our team of professional musicians, educators, and music industry veterans will help you set yourself up to succeed with a four-week Headliners Club session! For many of us musicians, marketing and promoting our own work is seen as a very daunting task, but it doesn’t have to be. Even if marketing is your least favorite part of the creative process, you can still succeed by thinking outside the box, doing it your way, and networking with the people with whom you want to be involved — no compromises necessary. But in today’s noisy world, a few tried-and-true practices still remain valuable and worthy of your time if you want to see some legitimate success in getting your music out there. So whether you’ve just polished up a standalone single or an entire album’s worth of new material, here are some pointers for marketing your latest work. And if you’re looking to create a more holistic, goal-oriented approach to marketing your music, our Soundfly Mentors are here to help. Get in touch to tell us about your goals. Share far and wide on social media. As far as marketing is concerned, social media is your best friend in the entire world. But how can you make sure online audiences notice you in an industry that’s saturated with constantly flowing music and promotional ad material? Successful marketers understand how effective digital channels such as Instagram and YouTube truly are. Approximately 500 million people log in to Instagram every day, and even Spotify has over 80 million paid daily users. These are huge audiences that you can’t afford to ignore. Let’s talk about each. You should not only be sharing your new single or album (and more than once), but your entire creative life on Instagram. Let your audience know about your creative process, any bumps in the road, what you’re passionate about, other folks you support, etc. Sharing your story lends an authenticity to your work and helps you gain the trust of your followers. This is great for branding, and it’ll do extra work for your career when you’re not working yourself. Teenagers are major influencers when it comes to music sharing, so play to that demographic if possible. YouTube can help. The video streaming platform is an integral avenue for marketing to young people, as 85% of American teens reportedly visit the social media platform every day. A fun video release of your latest single could expand your reach exponentially — but don’t stop there. Add to the experience with short videos on how you wrote or produced the track, ask your fans to weigh in on a dilemma you’re having, reshare old videos, and so on. When it comes to audio streaming, playlists are where most of your new fans will end up discovering you. So firstly, make sure you’re distributed digitally on all platforms. And secondly, make sure you’re reaching out and constantly keeping in touch with playlist curators, submitting your music to blogs that feature “new music releases” periodically, and creating playlists of your own to swap favors with artists whose music you want to help promote. Pay it forward, and you’ll reap the benefits! Speaking of reaching out and keeping relationships intact, if you’ve ever gotten a gig because you were friends with a club owner or manager, you have successfully networked. At its core, networking is about who you know, and who they know. But networking, like establishing a genuine social media presence, is also about sharing your story with the right people and making it fun for yourself. Honesty is always the best policy when it comes to meeting new people and establishing relationships. If your online presence doesn’t match up with the real you, it can make you look untrustworthy. And you need the trust of influencers in order to succeed at networking. Attend shows frequently and introduce yourself to others in your field, as well as the folks who work in clubs, such as the bartenders and sound tech. Give people a sample of your work, such as a free download code or a tape if you have some cheap copies lying around, and ask what they think. You never want to give the impression that the relationship just flows one way, or that you’re only in touch for a favor. You may be surprised at how giving a little can help you expand your network and book more gigs. Speaking of networking, this is a good moment to mention that Soundfly is currently supporting the Profitable Musician Summit, a global online gathering of musicians and music industry experts aimed at giving participants the tools, resources, and motivation to unlock significant available income streams for their music over 10 days of streaming talks and panels. Learn more and sign up here. Don’t underestimate the power of vinyl. You probably already know that vinyl pressing has been a true Cinderella story, climbing back from virtual obscurity in the early 2000s to one of the most massively popular formats for music to be sold on in the past decade. Special, limited edition records are snapped up by old and new fans alike, for the nostalgia factor and rarity appeal as much as the music itself. The numbers are staggering. Data from the Recording Industry Association of America (RIAA) indicates that new vinyl sales reached 16 million units and $395 million in revenue in 2017. Smart promoters understand the need to get in on that impressive vinyl action. If you can afford to press your music to vinyl, because it is quite a bit more expensive than CDs and of course, releasing digitally, know that the format alone will help you expand your sales and distribution reach, and make whatever creative efforts you can to infuse the release with a unique touch. And if you’re promoting a single, consider releasing it as a 7-inch, complete with a B-side, such as a remix of one of your other tunes, or a secret track from a forthcoming album, etc. No matter what, always try to include a digital download with the purchase of your LP, to make sure everyone can share your music with their friends. Tune in, you’re on the air waves. Like teenagers, college students also help spur music trends. In the late 1980s and early 1990s, it was college radio that brought grunge music to the mainstream. And radio is still very much relevant today, allowing for connection by way of curation. In recent years, NPR has taken radio a step further with its popular “Tiny Desk Concerts” series, where up-and-coming musicians perform a short concert inside NPR’s Washington, D.C., offices. These concerts are broadcast over terrestrial radio and online, and on YouTube as well. What this means is that “radio” doesn’t just have to mean FM only. When you send your latest album or single to a radio station, include video links of you performing in your press package, and suggest doing an on-air performance or an interview as well. This content is likely to get syndicated across a variety of channels. Self-promotion doesn’t have to be so intimidating. To successfully market your next album or single, you need to think like an entrepreneur — skilled promoters have a deep understanding of how to best use networking, social media, and current market trends to their advantage. But really, it all comes down to being proud of what you’ve accomplished and passionate enough to let your creative voice shine through your marketing efforts. 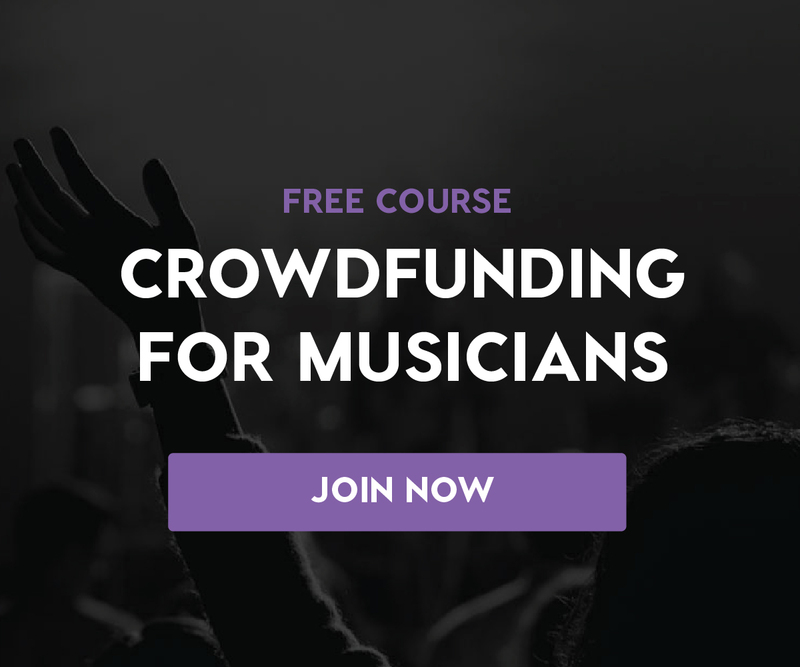 Explore Soundfly’s wide array of free online courses and expand your musical skills over your lunch break! Here’s just a few free courses you can choose from: How to Create a Killer Musician Website, Theory for Bedroom Producers, Touring on a Shoestring, and How to Get All the Royalties You Never Knew Existed. Leah D. Nelson started writing about music in high school, and never stopped. She loves thrift shops, dogs, live music and riding her bike. After spending several memorable years immersed the New Orleans music scene, she is now comfortably settled in Boise, Idaho.